Dublin, capital of the Republic of Ireland, is home to historic buildings like the Dublin Castle, St Patrick’s Cathedral, and the National Museum of Ireland. Though relatively small, in comparison to cities like New York or London, it is no less magical. I was able to cover the main sites in just 2 days in Dublin. The public transportation is great in Ireland, but since I like walking I didn’t really use it. First on your Dublin itinerary, is the Christ Church Cathedral. It is a beautiful famous church and if you get the tour they may even let you ring the bells! A fun fact, they also filmed many scenes of the Tudors here, including Anne Boleyn’s coronation. The Foxy Friars is the nickname for the monks, yes I know, it sounds more like a stripper name. Next on your Dublin itinerary is St. Michan’s, an under appreciated church since it’s not as grand as the others in size. You do however get to go in their crypts and “shake hands” (rub the finger) of an 800-year-old crusader! It’s supposed to be good luck, else I wouldn’t have done it! St. Patrick’s Cathedral is also a very well known church. Christ Church Cathedral and St. Patrick’s are in a sort of rivalry since each is funded by one of the two main alcohol distributors, Guinness and Jameson. I can’t remember which is which but if you go, they will definitely tell you about it on the tour. The Guinness family is viewed so highly that they get front row seats in the church, right next to the President. What does that tell you? One of the best things about Dublin is that it’s pretty cheap. Some things are even free! They may ask for a donation, as with The National Museum, but it’s recommended not mandatory. I will say that I did donate, so please do if you go. My favorite part of the National Museum, other than the cost, was that the building is just amazing! They used to house the military here, but it’s been a museum for some time now. They also had a reenactment when I was there, I always love reenactments! I originally wasn’t going to go to the Guinness Storehouse, but everyone insisted. I hate beer in America, but as they say, it does really taste better in Ireland! The building is shaped like a Guinness glass, and if they were to fill it up with beer, there would be three pints of Guinness for every Irishman. On the way up seven stories, you learn how they make beer. You get a tasting about half way up and then when you reach the top you get to the Guinness Gravity Bar. The Guinness Gravity Bar has a panoramic view of the city. Apparently, when my hostel mates and I went we were luckily enough to be there on the clearest day they have had in five years! It is definitely worth the view! Also, you get a free pint of Guinness with a shamrock drawn in the foam! You can also learn how to pour your own pint but we opted not to do it. 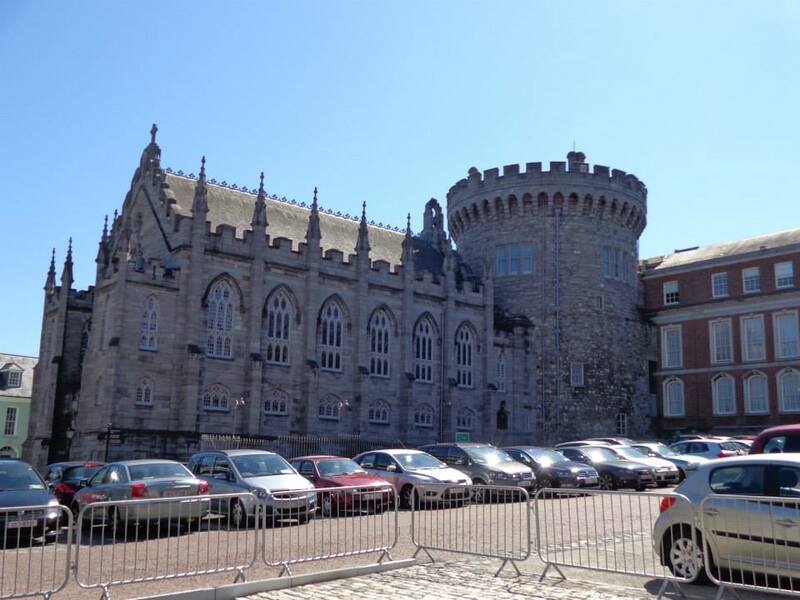 If you’re looking for a day trip out of Dublin, check out the Paddywagon Tour. I hope this Dublin itinerary is of use to you. Let me know if you have any questions because I really loved my 2 days in Dublin! Ahh wow that’s so cool! I thought you could only do shapes in coffee, but beer? Never knew haha.